The breaststroke is often the first one of the competitive swimming strokes taught to novices. Nevertheless, its movements can be quite difficult for the beginner to master. That’s why the following exercises let you learn swimming breaststroke step by step. This prevents struggle and lets you enjoy the experience of learning a new swim stroke. 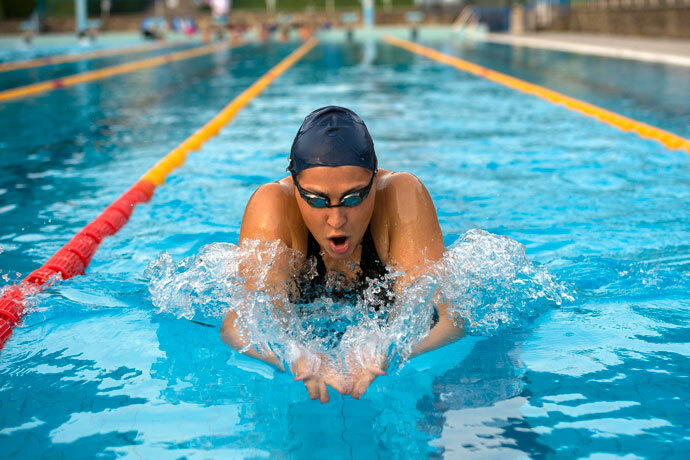 Learn the Breaststroke Kick on Dry Land: This article contains exercises that let you practice the breaststroke kick movements at your leisure on dry land. Breaststroke Swimming Drills – Learn the Breaststroke Kick in the Water: This article builds upon the skills learned previously on dry land. It proposes a few swimming drills to practice the breaststroke kick in the water using swim noodles and kickboards. Breaststroke Swimming Drills – Learn The Arm Stroke on Dry Land: This article lets you practice the arm stroke on dry land. Rehearsing the arm movements on dry land first makes sense because you can practice and memorize the arm movements without having to care if you are supported by the water or not. 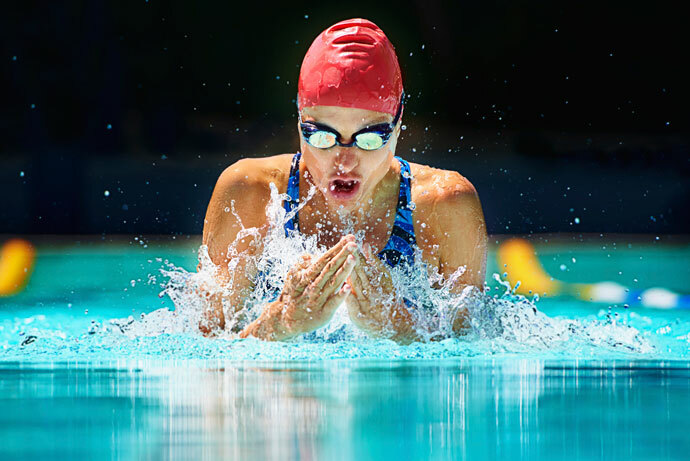 Learn to Swim Breaststroke: Arm Movement Drills in the Water: The next article to learn the breaststroke lets you practice the arm movements in the water, using a pull buoy to provide buoyancy to your legs. Learn to Swim Breaststroke: Drills to Coordinate Arms, Legs and Breathing: This article is the last one in our series to learn swimming breaststroke. It covers swimming drills to coordinate the arm stroke, kick and breathing. This time you will use water noodles to provide additional buoyancy and support in the water. Two Kicks, One Pull: Two kicks and one pull is a classic breaststroke drill that lets you focus on your kick and improve your streamline position underwater. It is easy to learn swimming with the help of this web site! Have been following your videos and found them very helpful, but the breaststroke and backstroke arm movements of dry land will not play. What kind of browser and operating system are you using? Are you using a computer, tablet or smartphone? This information would be helpful to pinpoint the issue. I am too scared to swim because when I was a child at school, my so-called friends flushed my head in the toilet and pushed me in the deep end of the swimming pool in school. So since then, I am frightened to go in the swimming pool.